Oh, how we love these little drawstring bags! Each little green flannel pouch has been specially treated to help prevent tarnish while the jewelry item inside is in transit or in storage. We have packaged some of our sterling silver items in these pouches for some time. And lots of our customers have asked if we would please sell them. So, here they are! 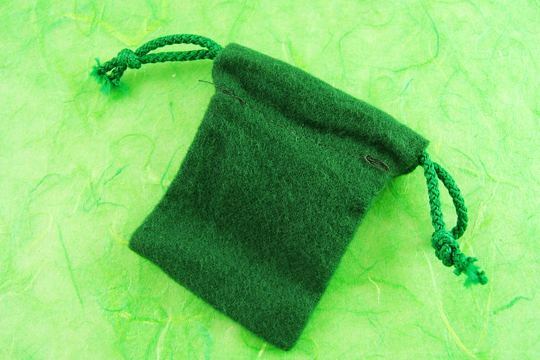 Each little green velveteen bag measures about 2 inches square and closes with matching corded drawstrings. These are made by hand, so they may vary slightly.